Myth #1: Foreign doctors are no good. Good and below average doctors are everywhere. And medical tourism too has its share of good and bad doctors. Since many of these doctors deal with high patient volumes, they have vast experience. Myth #2: Another common misconception is that you will get substandard treatment. The fact is good foreign hospitals abide by local and domestic medical laws. Some of these are also certified by international accreditation bodies. Our suggestion is go through hospital track record and patient reviews. Myth #3: Language will be a problem. The fact is good medical tourism hospitals have bilingual support staff. Myth #4: Another common misconception is that travel costs eat up savings. The fact is you can cut travel costs by choosing a destination close to your home country. Focus on regional medical tourism. Medical tourism is a unique opportunity to combine vacation with medical care. It may not be for everyone. We recommend that you research into medical tourism based on your needs. Go through patient reviews and experiences. Check this video, for example, in which a Yuma resident reviews dental clinic in Los Algodones, Mexico. 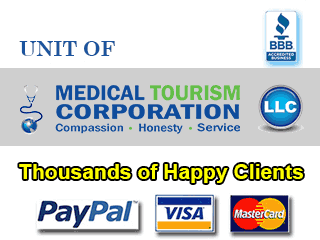 We are facilitators of medical tourism in Mexico, Costa Rica, Thailand, India, Spain, Belgium, Vegas and Jordan. To have your medical trip rolling, contact us via the website quote-form on the right.